Most famously known as the home of French artist Claude Monet’s house and garden, Giverny is a picturesque village in France approximately 45 minutes north of Paris. With a population of about 500 residents, very few vehicles and an idyllic location on the banks of the River Seine this quaint village feels like a step back in time. The village is a garden lovers paradise, everywhere you look there are plants, flowers and vines adorning the buildings and homes and of course there is the main attraction – Monet’s Garden. There are references to the famous artist everywhere throughout the town and while it can at times feel touristy (over half a million tourists visit each year!) it has still managed to maintain its quaint village feel. There are plenty of small cafes, gift stores and antique shops to explore and on a sunny day there is nothing better than lunch in the garden terrace at Hotel Baudy enjoying the pretty views across the valley. We recommend planning for a full day in Giverny in order to have plenty of time to visit the gardens, wander through the village and enjoy a relaxed lunch. For more information about the village visit here and to learn more about the different seasons in Monet’s Garden this book is a useful reference guide. One of my favorite places in the world! Great post. I’m bumping this up to the top of my bucket list! Such a beautiful village. You captured it so well. The light is amazing in the area, no wonder Monet found it inspirational. Thanks you, it’s such a beautiful village! Lovely pics and lovely place. Thanks for sharing. 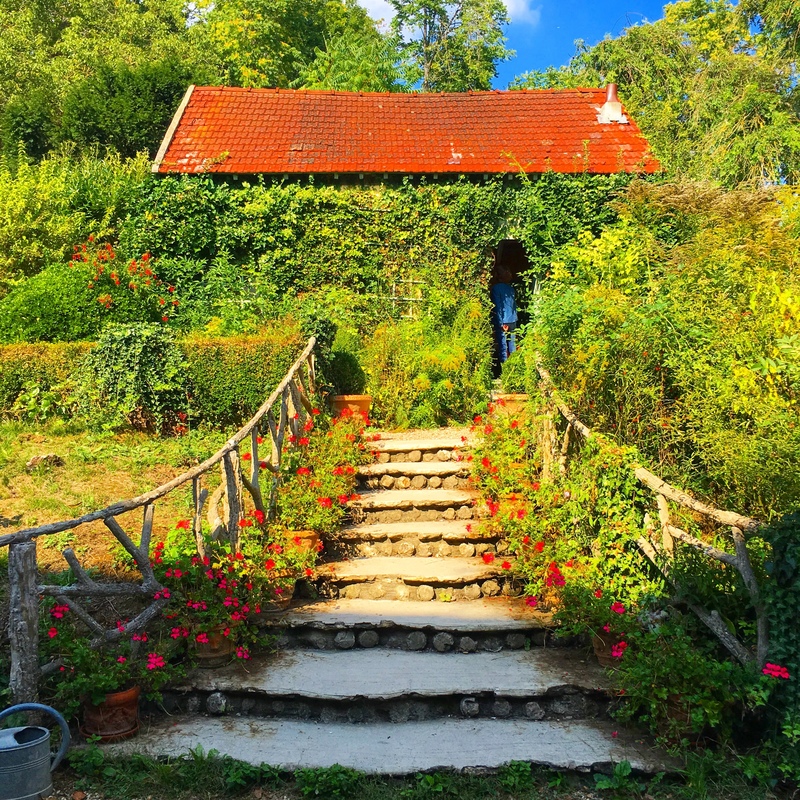 We absolutely love Giverny… Did you know that the very last picture in your blog post is actually an Airbnb? It’s where we stayed when we went there… And is just as gorgeous on the inside! I recommend staying overnight so you can explore the town when the hordes of tourists have left!